The turf wars between HTC and Samsung are definitely heating up. The release of Samsung’s flagship – the Samsung Galaxy S5 – is underway and simultaneously we are seeing HTC launching their flasgship – the HTC One (M8) across carriers and stores. Just yesterday we saw the HTC One (M8) launch on Telus and now today the device is available on T-Mobile. The carrier has announced the availability of the HTC One (M8) for a zero down-payment, if you pick it up on a 2 year contract. For those who would wish to forgo a data plan to go with the device, a paltry sum of$26.50 would be the monthly payable for a 24 month period. However a smartphone isn’t much ‘smart’ without a proper data connection, with 3G being an acceptable speed. For users planning on data connectivity, T-Mobile offers two plans along with the HTC One (M8). You will have to shell out $50 a month for 1 GB of data, which will rise all the way to $80 a month for those who would require unlimited data. As of yet, the gun-metal finish variant is the only one available under this scheme. The second iteration of last year’s iconic HTC One (M7) – the new HTC One (M8) is a device with quite a lot going for it. Bearing an upgrade in almost all aspects over last year’s HTC One, the M8 bears an upgraded 5 inch screen which offers a full-HD 1920 x 1080 pixels resolutions, which comes to about ~441 pixels per inch (ppi) resolution. The biggest upgrade, however, is on the processor front. HTC swapped the Qualcomm Snapdragon 600 quadcore processor with the latest Snapdragon 800/801 quad-core processor clocked at 2.3 GHz, with an ample 2 GB Ram and 16/32 GB internal storage. The in-built MicroSD slot (a deviation from last years’ HTC One) supports upto 128 GB of storage expansion. 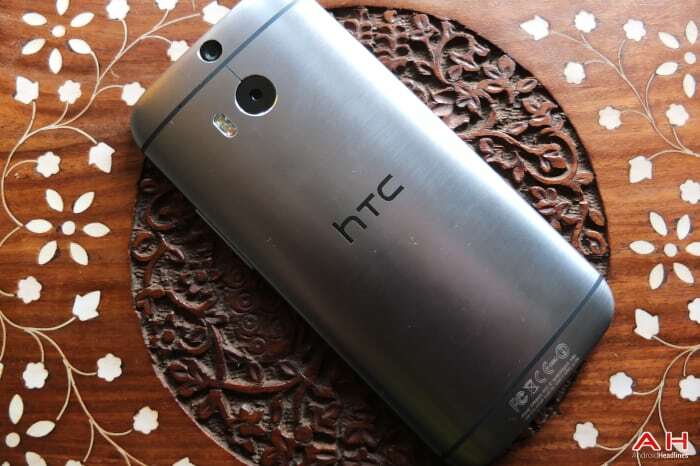 The HTC One (M8) also is unique in its’ camera setup, with a 4 ultra-pixel primary camera coupled with a new ‘Duo Camera’ which aids in depth perception and adding after-focus effects to photographs. All of this setup is powered by a 2600 mAh battery. Visit this link for the HTC One (M8) unboxing. If you’re going to get the HTC One (M8) from T-Mobile, hit up the source link on this article to place your order at T-Mobile and do shout it out to us in the comments below. The post HTC One (M8) Now Available on T-Mobile at $0 Down-Payment with 2 Year Contract appeared first on AndroidHeadlines.com |.